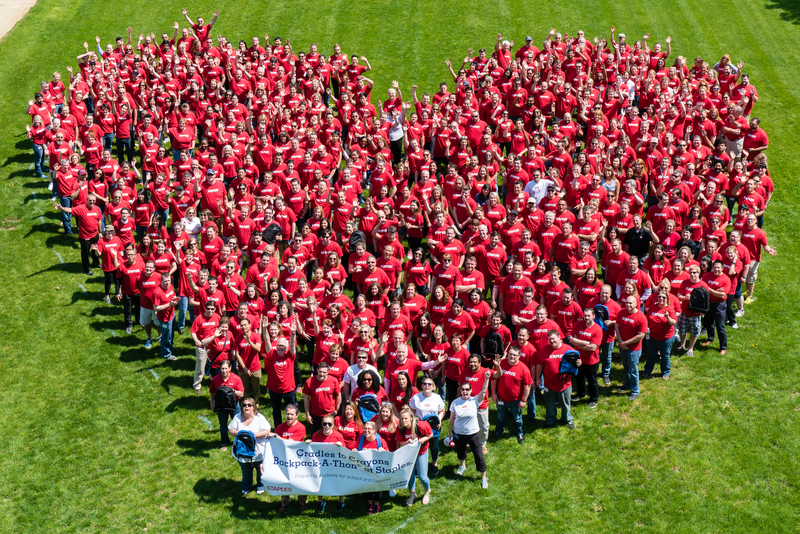 FRAMINGHAM, Mass.--(BUSINESS WIRE)--During the fourth annual Cradles to Crayons Backpack-A-Thon event held earlier today at Staples corporate headquarters in Framingham, 20,000 backpacks were assembled with 460,000 new school supplies by 1,200 Staples employee volunteers and loaded onto trucks for distribution to children in Framingham, Lynn, Springfield, Worcester. In partnership with school districts, the Boys & Girls Clubs of Metrowest, and Saint Bridget’s Catholic School, Cradles to Crayons ensures these no-cost resources are delivered to some of the communities with the greatest need in Massachusetts, providing local children with the necessary school supplies to help them succeed. Staples is the only corporate partner to date to work with Cradles to Crayons to replicate the nonprofit’s signature assembly line packing event—now in its eleventh year—held annually in Boston. 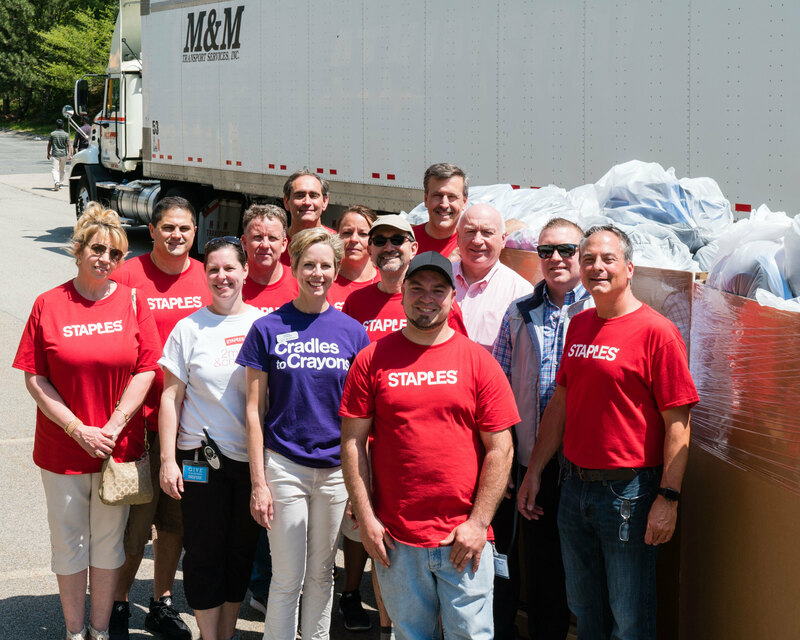 Staples’ support allows Cradles to Crayons to expand their reach to serve more children in MetroWest and Central Massachusetts. 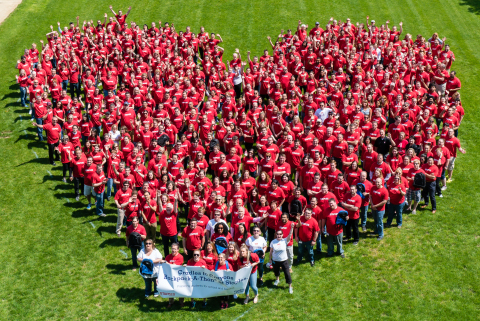 Similar events at Staples locations in Terre Haute, Ind; Aurora, Colo; Philadelphia, Pa; and Lincolnshire, Ill, will fill an additional 11,000 backpacks with school supplies to support children and other Cradles to Crayons sites. Collectively all places will produce a total of 31,000 backpacks this year. 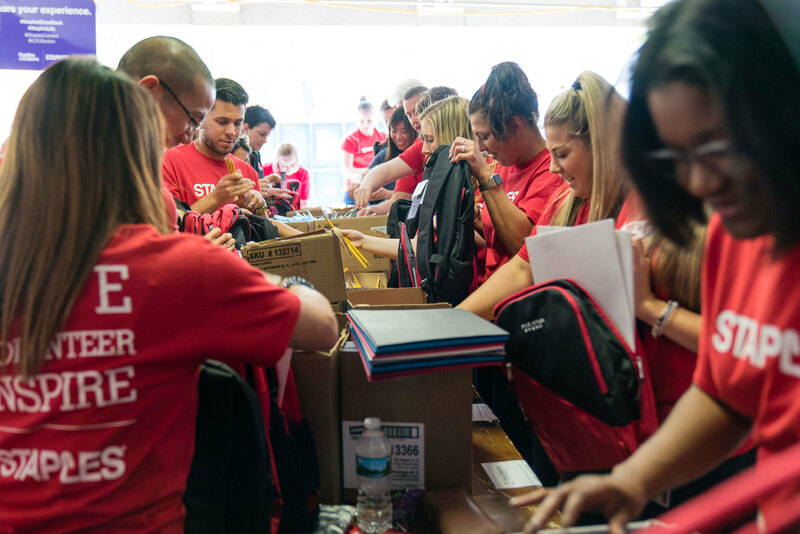 "Staples Backpack-A-Thon is a great example of the impact corporations and non-profits can have when they come together in support of their communities. We cannot thank Staples enough for their support through both this event and the 2 Million & Change program. It is invaluable in providing thousands of children with the supplies they need to succeed in school,” said Lynn Margherio, Cradles to Crayons’ Founder and CEO. Margherio, Mulot, and Peter Scala, Staples’ Chief Merchandising Officer, were joined at the event by Dr. Maureen Binienda, Superintendent, Worcester Public Schools; Dr. Robert Tremblay, Superintendent, Framingham Public Schools; Dr. Catherine Latham, Superintendent, Lynn Public Schools; and Paul R. Joseph, President and CEO, MetroWest Chamber of Commerce. School supplies from backpacks to pencils and glue sticks to notebooks were donated by more than 15 participating Staples vendors, including: Acco, Amax, Avery, Bic, Crayola, Dixon, Georgia-Pacific, Newell/Rubbermaid, Purell, Westcott, and Staples Brand Products. Some of the vendors also volunteered alongside Staples associates during the event. Staples’ support of Cradles to Crayons extends beyond the Backpack-A-Thon to funding through the 2 Million & Change grant program—a philanthropic initiative created by the Staples Foundation for associates around the world to direct funding for nonprofit organizations they are passionate about and which are dedicated to education or job skills. Many Staples associates nominate Cradles to Crayons for funding each year to help them reach more students in need through their Ready for School program. The program, serving 70,000 children between June 1 through September 30 – promotes the importance of preparing the whole child for school from head to toe and generates thousands of backpacks for children who need them through Backpack-A-Thon events. Cradles to Crayons is a national nonprofit organization with locations in Boston, Philadelphia, and Chicago that provides children from birth through age 12, living in homeless or low-income situations, with the essential items they need to thrive—at home, at school, and at play. Cradles to Crayons supplies these items free of charge by engaging and connecting communities that have with communities that need, collecting new and like-new children's items through grassroots community drives and corporate donations. Donations are processed and packaged by volunteers at warehouses called “Giving Factories” and are distributed to children through a collaborative network of social service agencies and school partners. For more information, visit www.cradlestocrayons.org. Staples contributes to educational and job-related community efforts with a primary focus on disadvantaged youth, from literacy and mentoring to career skills development, through in-kind and monetary donations and grants from Staples Foundation, the private charitable arm of Staples, Inc. 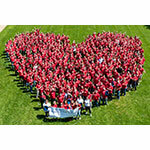 Through its community and giving efforts, Staples has helped thousands of organizations across the world. For more information, visit www.staples.com/community.